JNN 13 Jan 2014 TEHRAN – The 27th International Islamic Unity Conference will be held in Iran’s capital, Tehran, from January 17-19 with the presence of the country’s President, Hassan Rouhani., the secretary general of the World Forum for Proximity of Islamic Schools of Thought announced on Tuesday. The conference entitled “The Holy Quran and Its Role in Uniting the Islamic Ummah” will bring together 1380 Sunni and Shia scholars from 58 countries, Ayatollah Mohsen Araki told reporters. Shia and Sunni thinkers will be discussing the issue of unity among Islamic Ummah and the existing problems of the Muslim world during the three-day event. The participants are from Muslim and non-Muslim countries, the ayatollah said. President Hassan Rouhani will open the conference by delivering a speech, he added. 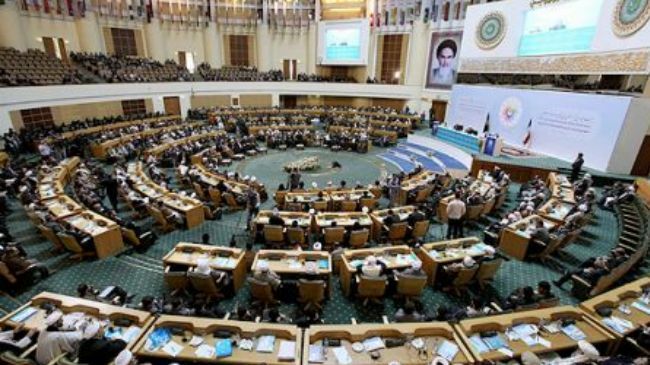 He said Expediency Council Chairman Ayatollah Akbar Hashemi Rafsanjani will also present a speech to the participants. The 26th International Islamic Unity Conference was held in Tehran in January 2013. A major part of the conference revolved around the topic of Islamic Awakening and the popular uprisings in the Arab world. The World Forum for Proximity is an international organization founded by Iran. Its main aim is to create more unity and solidarity among Muslims worldwide, regardless of their schools of thought. The Islamic unity conference provides an opportunity for scholars to share views and review problems facing Muslims while presenting solutions. This entry was posted in Iran News and tagged Ayatollah Mohsen Araki, hassan rouhani, International Islamic Unity Conference, Islamic Ummah, Mohsen Araki, President Hassan Rouhani, the World Forum for Proximity of Islamic Schools of Thought, World Forum. Bookmark the permalink.